Pencil2D is an animation/drawing software that allows you to create traditional hand-drawn animation using both bitmap and vector graphics. "Pencil Puisher Strikers Again !" When I first looked at this software tool, well what is the different than the old Paint? However in my work I have to analyze and test, But as I went along I saw that it was much more, What I like best is that it is intuitive, easy to use and the has more stability in drawing objects. One thing I wanted to mention here When you want to bring in a picture, it will let you do some edits on it but it won't let you turn it rotate it around. However, though the support gave a workable solution by taking some snapshots of it and from there you make a copy then do what you want. This product is worth trying, just for the very fact its ease of use and intuitiveness, but it is also free. It does depend upon what your current needs are. We want to set things up for the client so that they can go in and do what they need to do in a short to reasonable amount of time without to much hassle. It gives a easy way to incorporate 2 D messages in various campaign message and also add some animation to the messages. "Beginning Animation Drawing Tool for Mac"
I like that it has a familiar interface to drawing apps, like Paintbrush.The toolbar has pencil, brush, fill, eraser, vector lines and five more. The colors are basic. There is layering by bitmap or vector. The top menu is file, edit, layer, help and windows. I will be looking for more detailed information about how to link the different cells to make the animation video. It is basic and easy to use. I miss not having the shapes tool, as I would be drawing on the app, rather than importing. The erase tool was not reliable, sometimes it will work and then it won't. Often, after using it, it will continue to erase any subsequent designs I want to create. I have to troubleshoot this to find out if I didn't disable erase or if I need to reinstall? I would like to make short animations for my business showing either characters or products. This is easy enough to create with and I hope it will be quick and easy for mini animations for my products page on Facebook..
What Animation solution do you use? What I like the most is the Simple and easy to use, its interface is quite nice and it has the minimum tools necessary to make an animation. It has several Bugs, at times some of the tools stop working correctly, which forces the user to perform a restart of the application. Corrections should be made in the inconsistencies presented by the application and thus seek a better experience with the user. Make several animations with this application for a small development project that integrated products in motion. Start using it as a test and, after overcoming the short learning curve, start using it more frequently. "Great for beginners, but you'll have to redo all of your setting preferences." Super simple to use, especially when you are just learning to use a drawing tablet. You can start from the bottom (i.e. character design) and work your way up to creating full-length animations. Pencil 2D allows you to set the pace for your animation with a "timeline" feature, so you can determine how fast or slow you want them to go. You'll have to redo your setting preferences because the program resets to default whenever you open it up. This is especially true for if you want to use the pen tool, or if you want to use different colours to connote different parts of your animation. You also have to be careful to make sure that each part of your animation is in a different layer, otherwise, you'd have a pile of drawings or sketches instead of an animated character or scene.In addition, the eraser tool isn't the best when it comes to erasing details in your animation; it leaves a lot of pieces of sketches behind. Moreover, there are not near enough tutorials for Pencil 2D so a lot of self-teaching is involved. Finally, you have to make sure you save to the correct file type with Pencil 2D, and the program will only allow you to export images of your animation rather than actual video files. You'll have to compose those images into an animation using a different program. Refer to animation tutorial vids on youtube and blogs about the product(there aren't a lot of Pencil 2D tutorial vids, unfortunately). I learned how to create fluid animations with Pencil2D software. As I've said before, Pencil 2D is a very simple program to use--there are very few tools you have to learn to use, and once you know where everything is, then you should have no trouble creating a decent animation. Pencil 2D is also the cheapest source for any beginning animators who want to learn the trade but don't have the money to buy expensive software programs. "Animate your drawings in a practical and simple way"
The program has a variety of drawing functions to be a free tool. He emulates very well what it is to draw with pencil and paper. It allows to generate animations in a very practical and easy way. It has a very dynamic interface and easy compression. You can generate layers and frames to vary the time of your animation as well as the option to set scenarios. It allows you to rotate your drawings to visualize them from any perspective. This tool is useful if you find it difficult to draw from other angles, since by selecting this option your drawing will rotate to the perspective you want. It has limitations when drawing on tablet devices. The pressure of the pencil generates pixelated areas on your drawing, you must configure your pointer with your preferences to prevent this problem. It has helped me in my social work. I have been able to make practical animations specifically in the area of ​​chemistry to explain to the youngest ones how the chemistry works or visualizes. An entertaining environment is created for the children because they are fascinated by this type of drawings. "Best 2D Animation tool for Windows"
The UI interface is the best part of Pencil2D. It is so simple to use that even a new user can pick up this tool in a few hours. Also, the shortcuts make it more easy for the experienced user like me to work fast with the tool. The fact that I can't use it for drawing 3D graphics. Maybe its coded in C++ hence that's the reason the team is not able to make enhances but it would have been great if this tool comes with a 3D animation support as well. I like how easy the installation was. You just unzip the folder and start using. I have never used this kind of software before and I was able to make a talking and moving character within about 10 minutes if use. It is very limited in what you can do out of the box. But I think it would be great to add animation if things were drawn out of the app. None. This is specifically for personal use and learning small forms of animation. "Fun software with classic dashboard look"
"I Can't Wait for Updates!" Obviously one of the things I like most about this program is that it is free. I also enjoy how easy it is to understand this right off the bat. I was able to start animating immediately! Another extreme plus is the ability to use layers. Without this feature I would definitely not be able to happily use this product. I definitely wish there were more updates to this program because I enjoy using it so much. For example it needs much more importing and exporting options. As a dedicated user, I would pay extra to have a much more detailed program to use, especially on a mac where 2D animation software is a bit harder to find. I highly recommend this to artists of all ages and interests. Not only is it free, but it is so simple to use as well. Another draw to it is that if you don't have your animation desk and punched paper handy, Pencil 2D will allow you to easily animate your ideas. So many times I have turned to it to get an idea out and had fun doing it! Coloring keyframes is not as easy as the screenshots make it look. I tend to do pencil tests with this program then export the frames to render in another one i.e. Photoshop. Another thing is more brushes! What I would give to have a more photoshop-like palette and selection. It has the best brush tools and they are working perfectly. It is easy to use. Not special dislikes. Lack of tools are disadvantage, but it is great software rather than other. It is best for beginners. Try it for create fantastic animations. I am using it to create two dimensional animations. Once well known about the layout, it helps to create best animations without doubt. "great free program to get started with 3d"
Completely recommend for anyone looking to start animation, cant go wrong with free! Easy to get animations done and practice them. "Wonderful Design Tool at a Low Cost"
I like how I'm able to animate and feel comfortable doing so from a beginner skill level to advanced. I don't dislike anything in particular, the functionality is ahead of its game, and I'm quite fond of this product. No are no particular problems needing to be solved. The platform allows for ease of use and I find it to be extremely helpful when creating new graphics for an advancing workforce. I benefit from the platforms basic use. 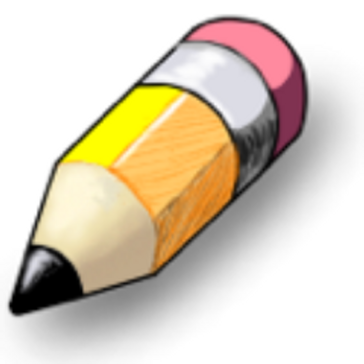 * We monitor all Pencil2D reviews to prevent fraudulent reviews and keep review quality high. We do not post reviews by company employees or direct competitors. Validated reviews require the user to submit a screenshot of the product containing their user ID, in order to verify a user is an actual user of the product. Hi there! Are you looking to implement a solution like Pencil2D?